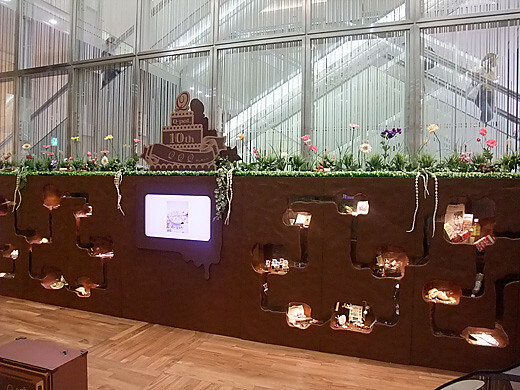 Q-pot world appeared in Shinjuku Takashimaya 2nd floor. Look closer, there’s historical Q-pot. 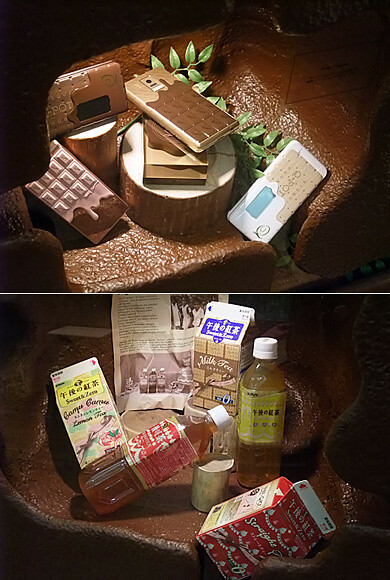 treasures in the fake chocolaty-mud wall. 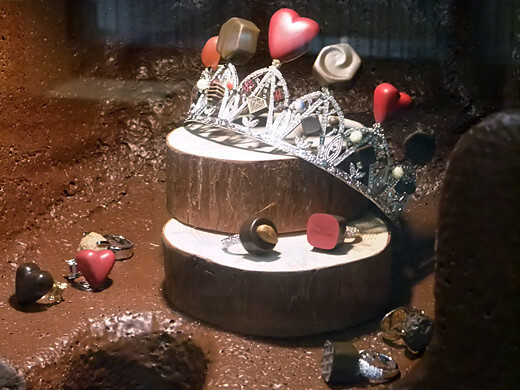 The beautiful faux chocolate tiara was made for advertisement of Takashimaya Valentine’s day. 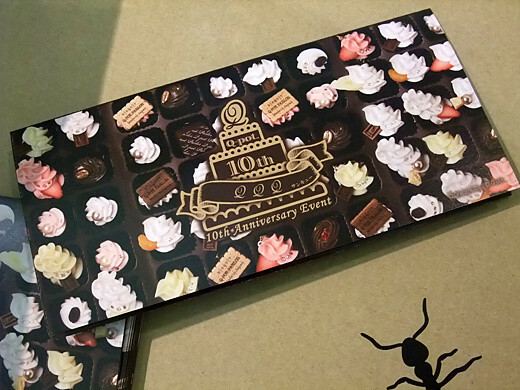 Creamy accessories were made epic history – now, the faux sweets accessories exists all over the world, and the origin was Q-pot’s idea… from Japanese famous food samples. Cell phone and tea beverage made this brand more famous. 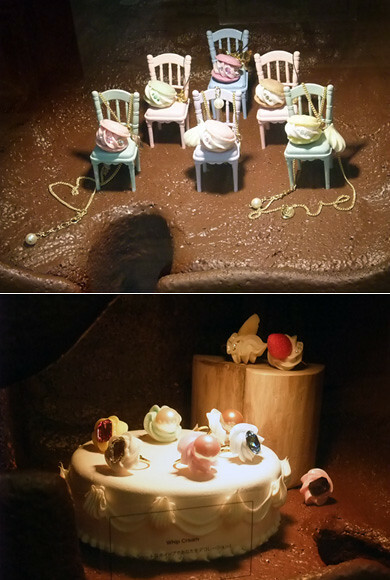 By the way, did you notice the treasure boxes were shaped like ants nest…?